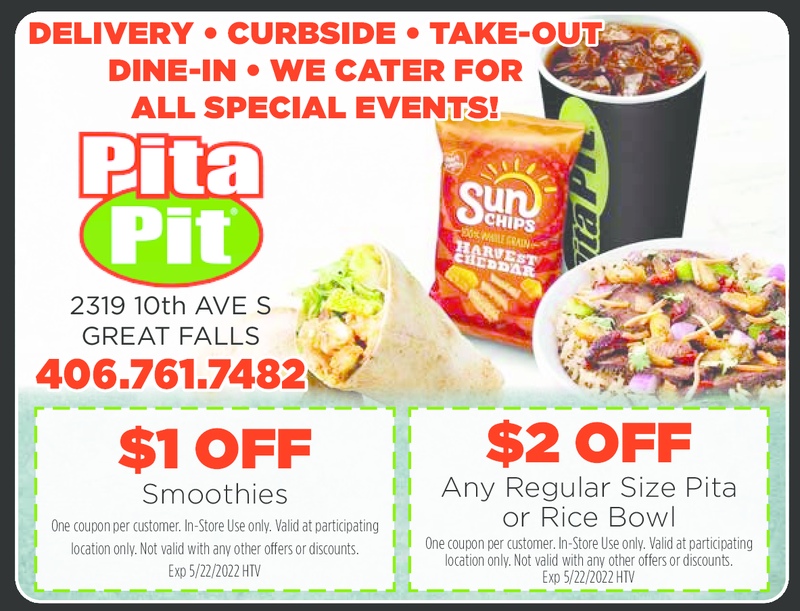 Pita Pit located in Great Falls Montana gives you more choices and more flavor. Itas the taste you crave, made to order in a fresh, feel-good meal, whether feeding one or 100. $5 Any Regular Size Pita!